At the Guild's Aug. 1 workshop, author and police Capt. Chris DiGiuseppi and Sgt. Paul Bastean will provide a sampling of what writers will experience at the Law Enforcement Training for the Arts (LETA) conference. The workshop will be held from 10 a.m. to noon at the Kirkwood Community Center, 111 S. Geyer Road, in Kirkwood. Free for St. Louis Writers Guild members; $5 for nonmembers. Chris is an award-winning author of The Light Bringer, a St. Louis-area best seller and one of the winners of the Missouri Writers’ Guild 2012 Show Me Best Book Award. He and co-author Mike Force based the novel on their real-life experiences. HCI released the second book in the series, The Light Bringer, The Fallen, in 2013, and the third in the trilogy, The Risen, in May 2015. Undergo Entertainment is scripting a screenplay for the pilot episode of a television series based on The Light Bringer. 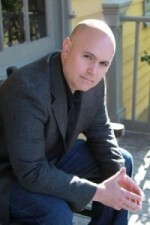 Chris and Mike are working with Hollywood director and writer Darin Beckstead on the project – www.undergoent.com. Sgt. Bastean will host the LETA conference and serve as lead instructor at the training center. He became a police officer after graduating the Academy in June 1998. 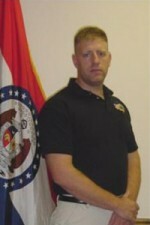 He currently holds the positions of Sergeant over the Special Operations Division, Firearms Instructor and Armorer for the Lake St. Louis Police Department. In September 2000, Sgt. Bastean started what became the Midwest’s premier training facility, Ultimate Defense Firing Range & Training Center. It is a Nation Shooting Sports Foundation Five-star Facility, and was a finalist for the 2013 NSSF Range of the Year.